Peter Parker lives with his Uncle Ben and Aunt May, an inspiring teenager on campus at Midtown High, where he is studying to be a scientist. While visiting a science exhibition on radioactivity, Peter is bitten by a radioactive spider; when walking home he suddenly feels charged with fantastic energy. He makes an amazing leap to miss a speeding car and finds himself walking up a wall to the roof. He soon realises he has super strength and can weave webs at will. Can Peter Parker use his new powers for the good of mankind as Spider-Man. 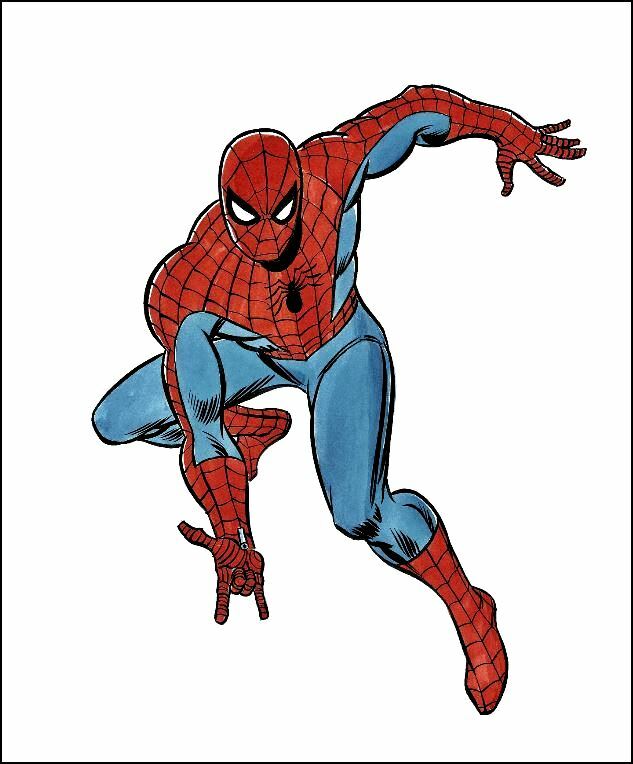 Spider-Man is the inspiration of Stan Lee, and is the most popular super hero of all time. Created in 1962. Peter Parker is a weak teenager, bullied by his peers, but when he gets his powers, Peter Parker is so determined to use his powers for good. But he always seems to be fighting authority. They don't like Spider-Man, especially J Jonah Jameson, publisher of The Daily Bugle, who sets up a campaign to discredit the super-hero. That is one of the main reasons the stories are so good. We see Peter wanting so much to be liked but never quiet achieving this. Still so popular after fifty years. There has been numerous carton series and a tv series in the 1980's. And extremely good are the recent Spider-Man movies. Appeared in the British comic, Pow of the 1960's.